One of the UK’s most vibrant cities, the regeneration of the harbourside area continues to draw tourists, foodies and corporates alike. With increasing numbers of businesses moving to the area, it’s hardly surprising that such a rich and diverse range of restaurants, hotels, bars and function venues has evolved in the city. With boutique and independent restaurants jostling next to top brands there are also exciting and alternative venues with private dining room options from museums and galleries to The Zoo and Aquarium – all within easy reach of the M4. 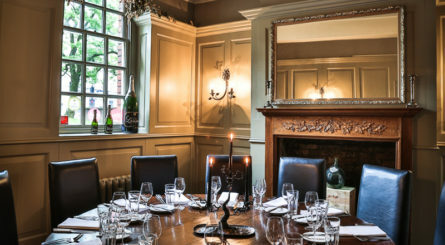 Bristol’s Hotel du Vin & Bistro has three private dining rooms accomodating between 12 and 72 seated guests. 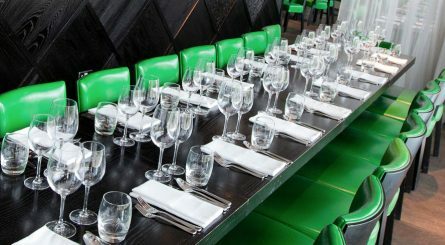 The upstairs private room at Piccolino in Bristol seats up to 18 dining guests.